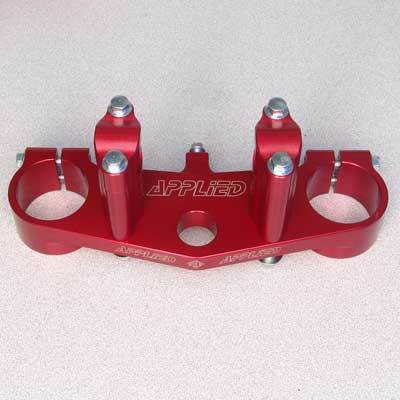 Applied's CRF150R Front Brake Carrier replaces the stock single-piston caliper with the dual-piston caliper from the larger CRs for increased stopping power. 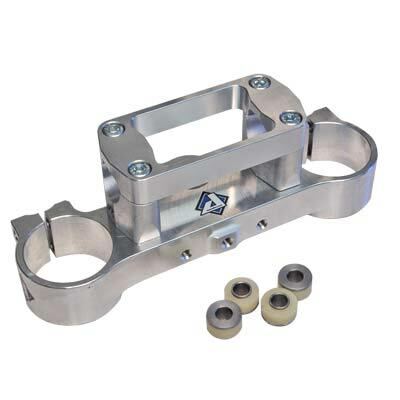 Made of billet CNC machined 7075 aluminum for maximum strength and reliability. Requires the purchase of a Honda caliper assembly #45150-MEN-006 (Retail price approximately $150 at a Honda dealership). We recommend replacement of the 2 copper washers #90545-300-000 (Retail price approximately $2 each at Honda dealership). This carrier is designed for use with an oversized 260mm front rotor. Use Galfer or Motomaster.